Immediately pour one gallon of coffee. Login to email. Note that there are 45 new emails. Note that 35 out of the 45 emails are regarding questions that have already been answered, repeatedly. Check voicemail. Emily “lost” her schedule and doesn’t know when she is expected at her placement. She was expected there 45 minutes ago. Scan and email her schedule to her. Remind participants for the 5th time to turn in signed timesheets. Call around to local non-profits to recruit new volunteer partners. Only three out of the ten need help and they are offering minimal hours on Tuesdays and Thursdays. 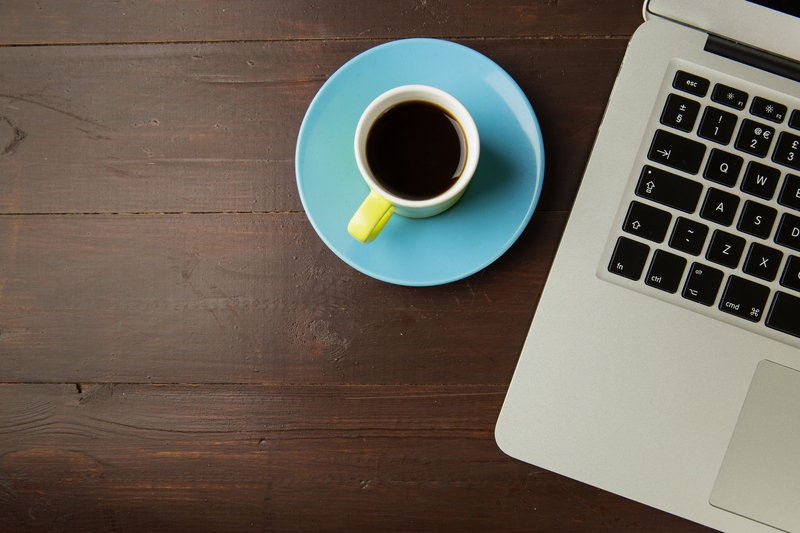 Send 100 emails in an attempt to match participants to volunteer opportunities. Enter volunteer data into a tedious Excel spreadsheet. Make several easy to miss typos and start over. Backtrack hours because of late reporting from participants and site supervisors. Drive from Hell to breakfast collecting signed timesheets and contracts. Get back to the office only to notice that over half of the logs have not been either signed or dated. Re-do every single contract written today because every detail has changed three times. Get ready to call it a day. OK, this might be a bit of an exaggeration, but every volunteer coordinator knows a lot of time is spent on outdated practices throughout the day. What if there was an easier way to recruit volunteers? What if there was an easier way to validate hours? What if there was an easier way to collect data? Finding a reasonable solution not only saves an enormous amount of time, but maximizes volunteer potential for your college, university, high school, organization, and community. 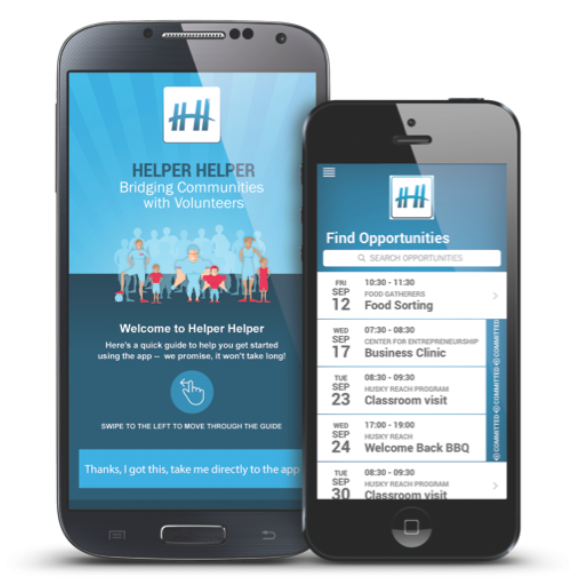 Helper Helper has created an easy to use, cloud based portal that allows volunteer coordinators to post available opportunities and so that participants may sign up accordingly. Hours are easily validated through text and email without the use of paper logs and the need for fax machines and scanning and emailing page after page of records. 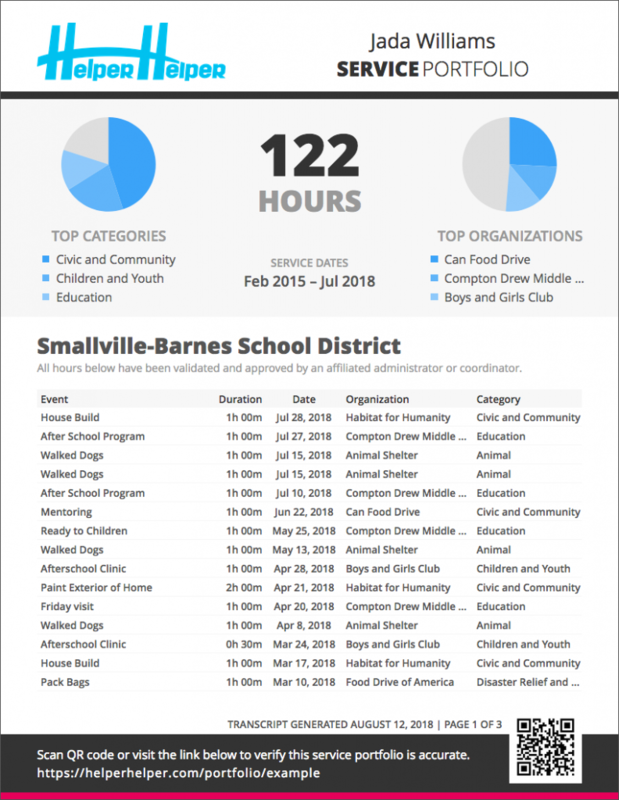 A simplified process with a time saving component allows volunteer coordinators to spend their time building community relationships and networking with organizations and event coordinators in need. This process also allows volunteer participants to conveniently sign up for opportunities from a mobile device, choosing a best-fit placement that will enhance their volunteer experience. It’s easy to develop engagement goals while participants stay motivated as their hours are easily tracked and accessed, creating a service portfolio. Opportunities can be made available to everyone or to only segmented groups and are easily shared amongst peers. This eliminates the excessive time required to e-mail or phone multiple groups of people, redundantly, with various opportunities. Participants then receive emails and push notifications so that they are always on top of their schedule. What volunteer coordinator wouldn’t love to have this ability to coordinate and track at their fingertips? How much would your schedule change by instituting a system with outstanding efficiency, allowing for greater productivity? Our guess is you wouldn’t need that gallon of coffee.